Next PostNext Sneak Peek: Disney Christmas Merchandise Arrives in Parks and Stores Today! 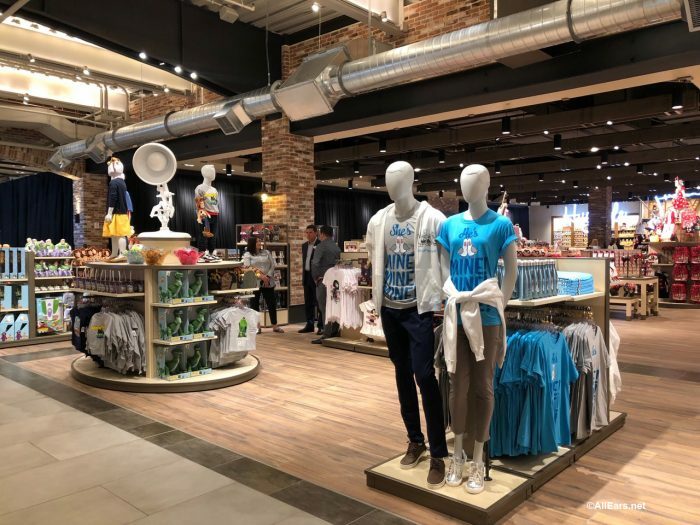 Preview: Disney Springs’ World of Disney Store Renovation! Disney Springs Marketplace World of Disney Store has been undergoing a major transformation throughout this year and we have periodically reported on the store refurbishment in progress. 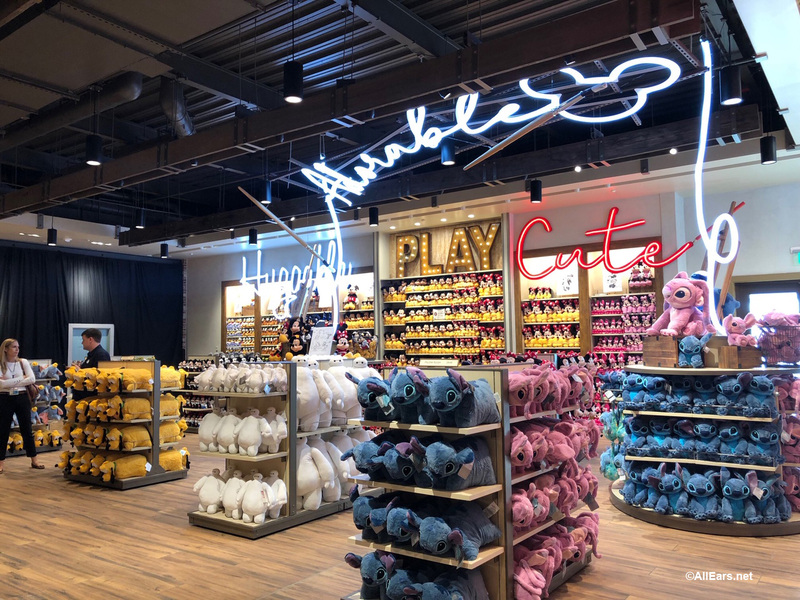 The store has reopened in phases as sections have been completed and this morning we were at preview of the completed refurbishment! Here are some photos from that preview. We also got a sneak peek at Mickey Mouse Club merchandise as well as a showcase of the Christmas merchandise arriving in stores now. Stay tuned to AllEars.net for that information later today! 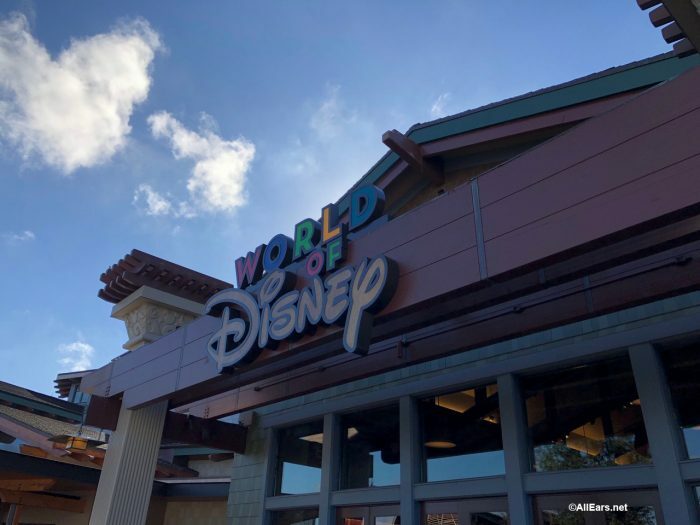 Tour of the Refurbished World of Disney! 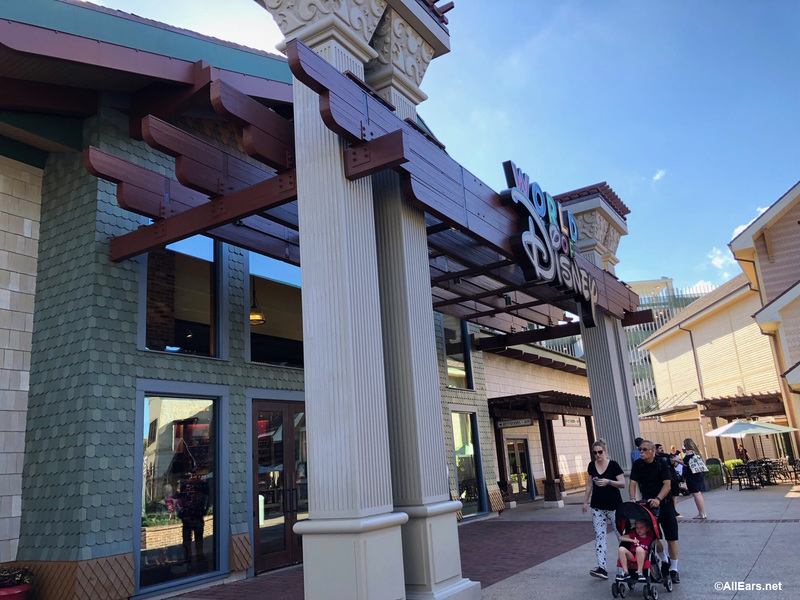 The store has a more craftsman-style architecture on the outside than the former store facade. On the inside it has been themed as a former animation studio. 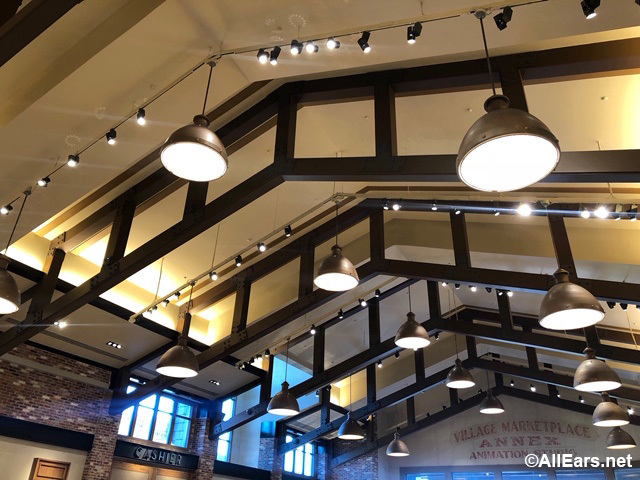 There are open beams and brickwork, giving it a converted workspace feel. 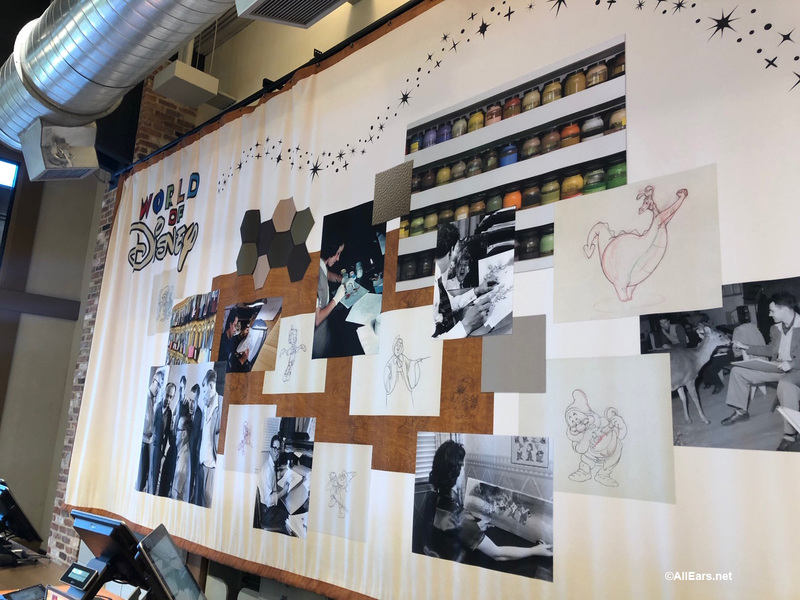 A graphic behind the cashier area pays homage to the art of animation with some archive photos from Disney. 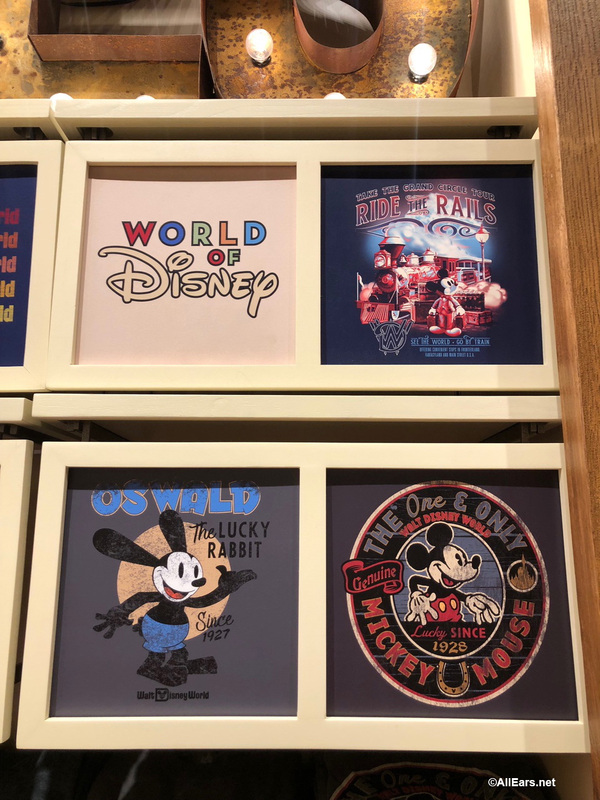 As always with Disney, it’s the details that make everything a little more special. 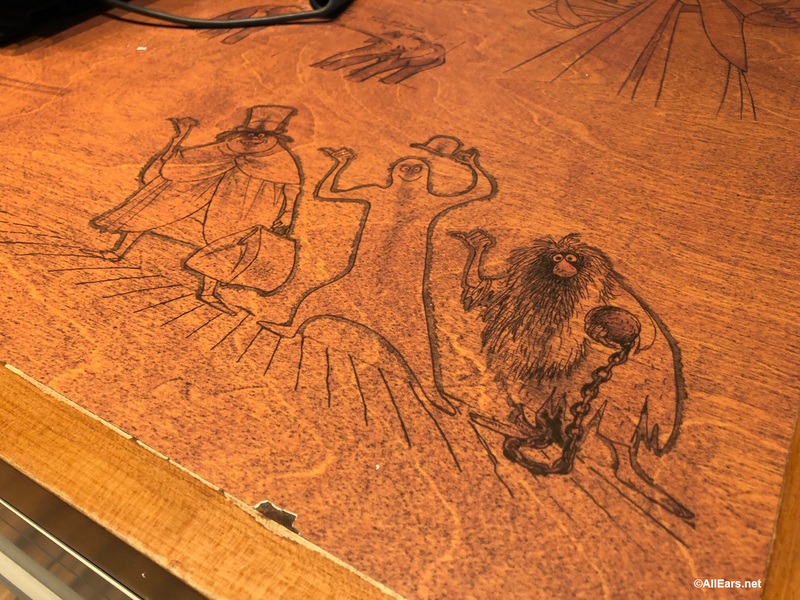 Check out the tables — they tie into the former animation studio feeling, like they are someone’s doodles! Hey! We recognize those guys! Didn’t they follow us home last time we were in the Magic Kingdom? 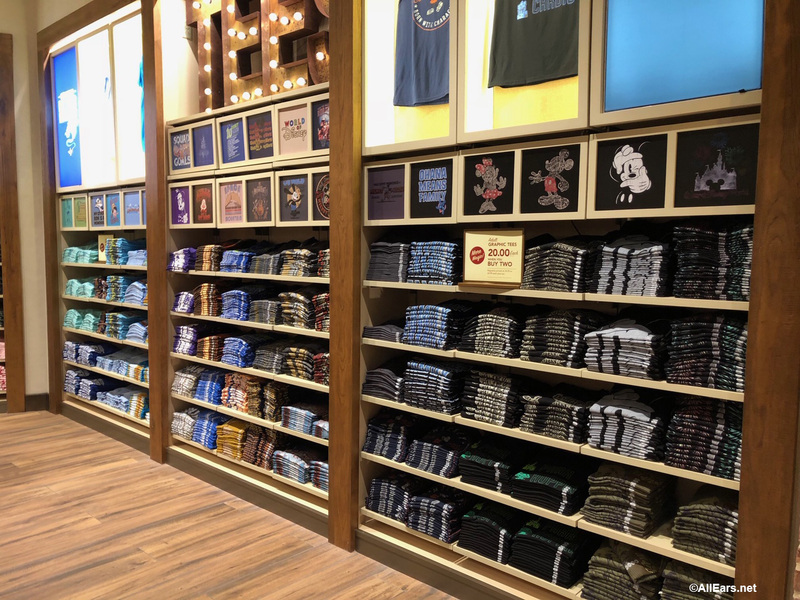 We appreciated the fact that the store now flows better from section to section. Before it felt more like there were separate “rooms” or departments. This new space is open and airy. Hopefully this will help alleviate the feeling of congestion or being over-crowded that you would experience before on very busy days. Of course, no Disney store is complete without a selection of plush toys! 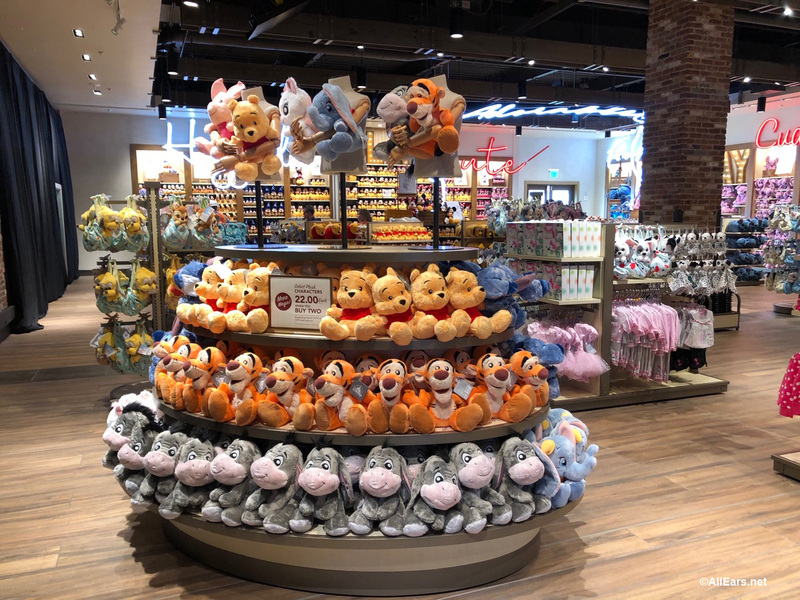 And, oh, are there plushes! 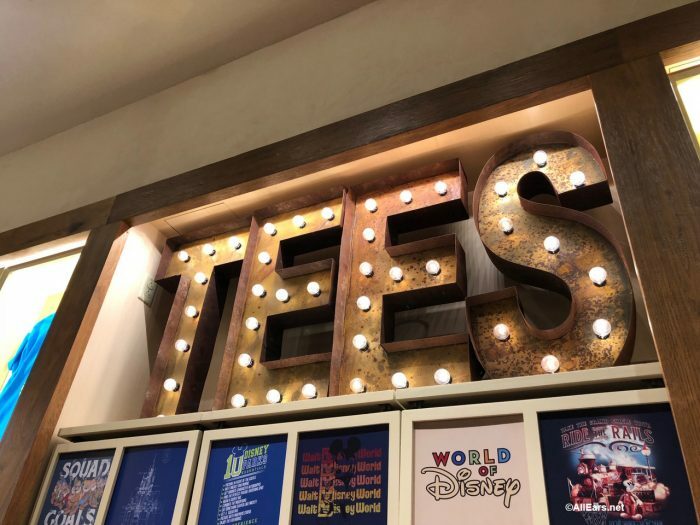 We have noticed lots of these “walls of T’s” in the parks. Now there is one in this store, too. 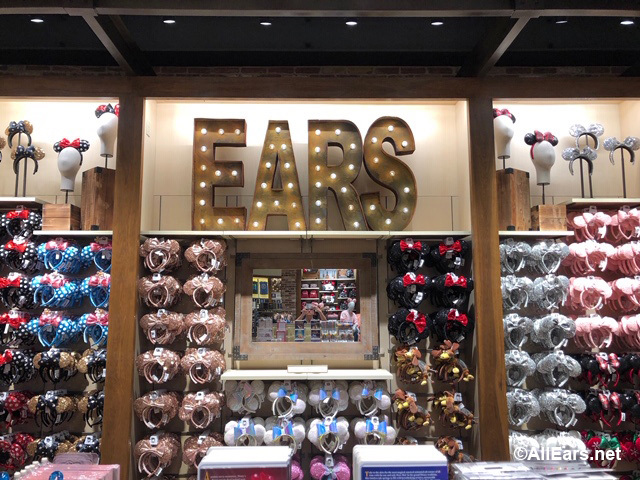 Of course there are plenty of Ears and Hats as well! 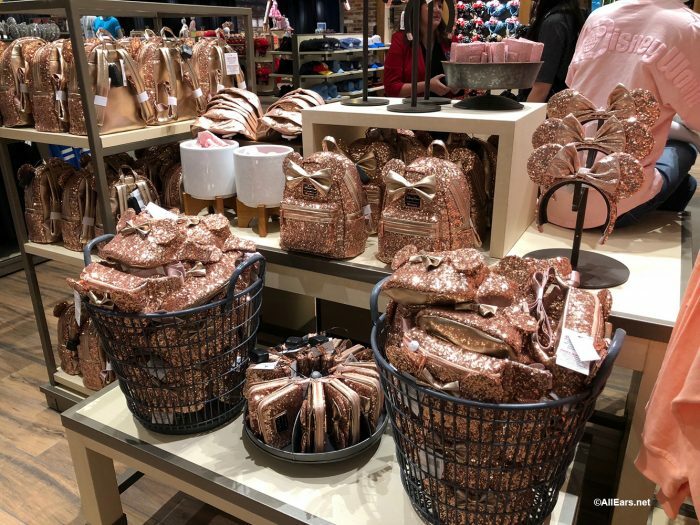 For Rose Gold fans, we spotted a whole display of Rose Gold merchandise. That’s still a thing, right? 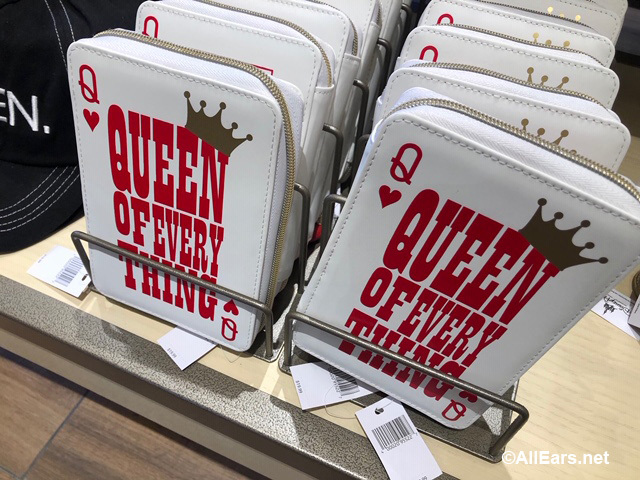 Should you be looking for the perfect gift for the Queen in your life, we would suggest this item! 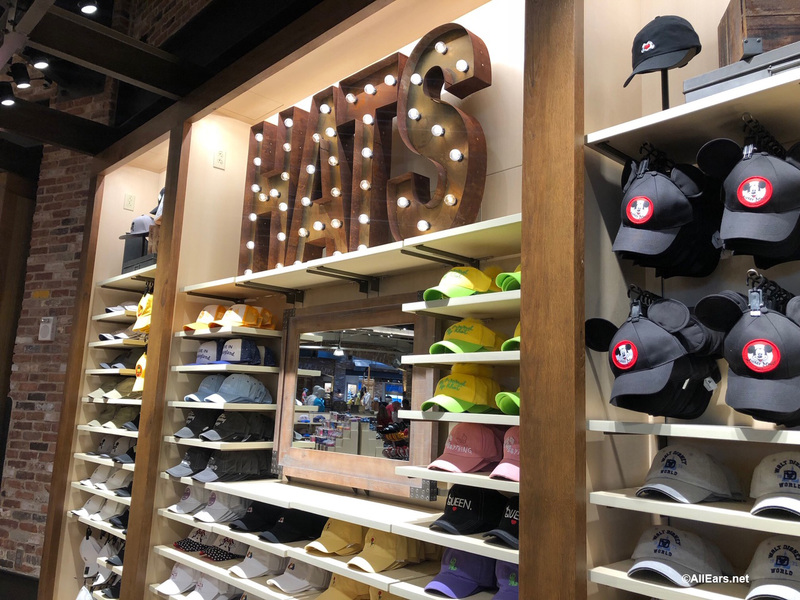 There’s a matching hat, too! 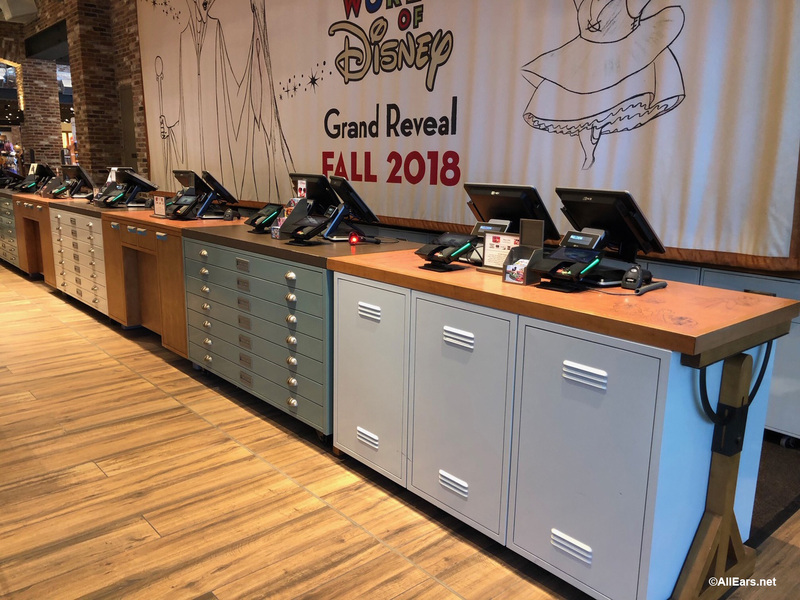 The refurbished store is celebrating its Grand Reopening on October 27. Will you be there? 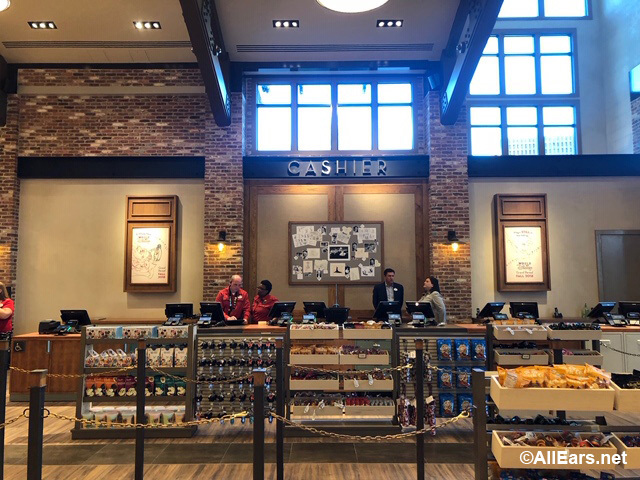 What do you think of the new look and feel of the store? Let us know in the comments! AllEars.Net was an invited media guest of Walt Disney World at this preview of the World of Disney. This did not influence our report; our opinions are our own. I just returned from a trip to WDW last week and agree with the comments above. The store is not at all as “fun” to shop (even with the crowds). 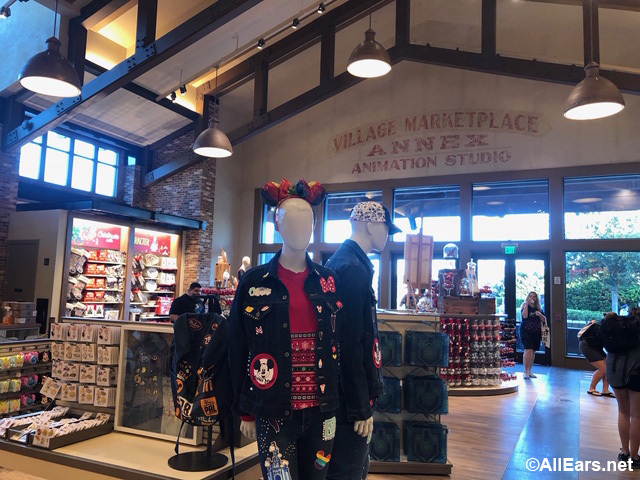 The store used to be a spot to get pics of the characters on the ceiling, etc. but now is just another mall store. What’s with the severe downscaling of the whimsical Disney themes we all love? Our hotel room in Pop Century was as bland and sterile as any other non-Disney hotel. 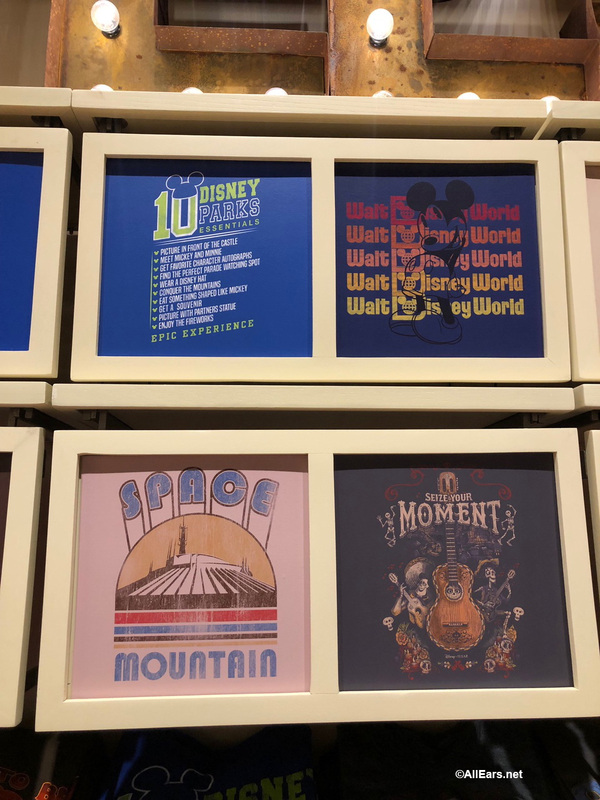 With the exception of Mickey and Pluto behind the headboards, there was NO Disney theming. Very disappointing! Unfortunately, I agree with all of the above. 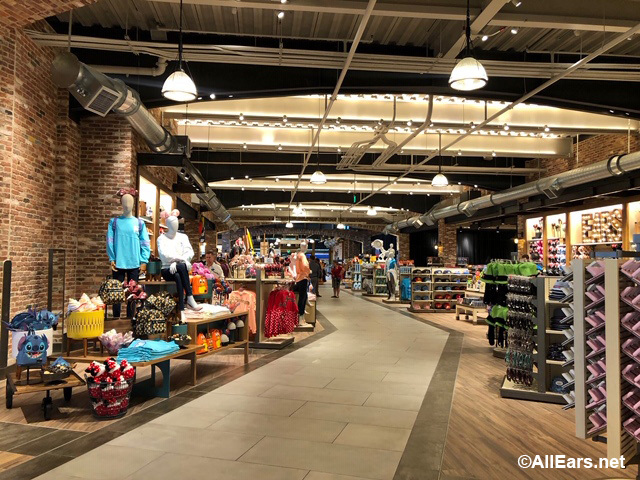 Although, the store fits into the overall look of Disney Springs now — it could be any up-scale mall in America. Not a fan. We visited the Disney Store this past Sunday & were disappointed. It has a warehouse atmosphere; the “magic” & “whimsy” is gone, even though the walls have signage for specific items, I felt like the store was more confusing. 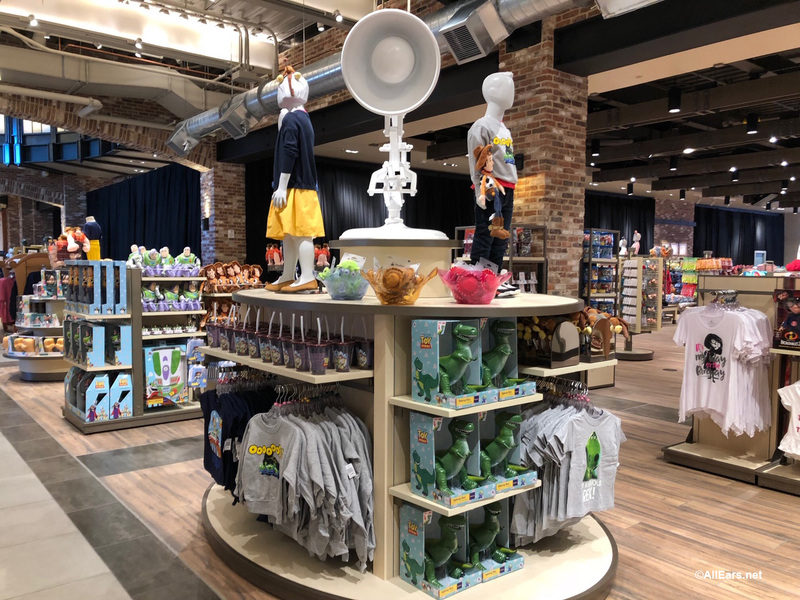 I preferred the divided sections / rooms that had the housewares, clothing for men, women, kids, toys, stationery, etc… in the old store. The staff also seemed less knowledgeable about inventory. We asked about a few specific items and the sales clerks had to go ask other associates. We purchased 2 jackets and the cashier stuffed them in a bag that was too small and when we got to our room they were wrinkled up! We hung them in hopes that the wrinkles would fall out before we depart for home. The new design did not seem to help crowd control either. In my opinion, the crowds were harder to get through. I’m not a fan of the redesign. 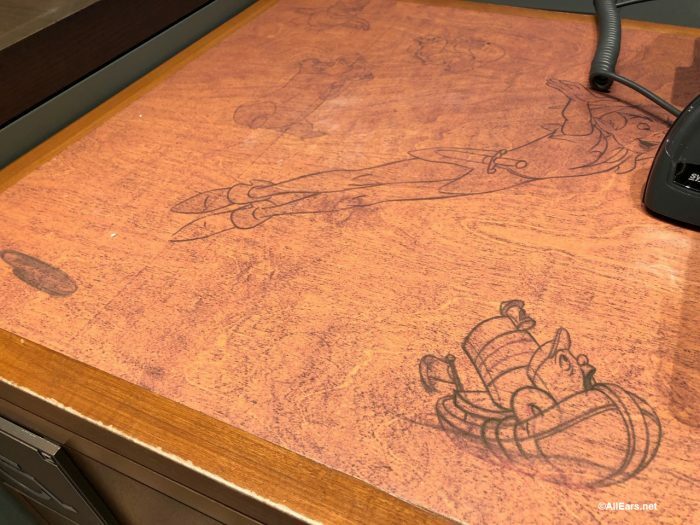 I can’t believe they took out the characters hanging from the ceilings. My kids and I enjoyed looking at them so much, and that kind of decor made the store feel special. I agree with the other comments here. It feels lackluster. Industrial warehouse look….yay! 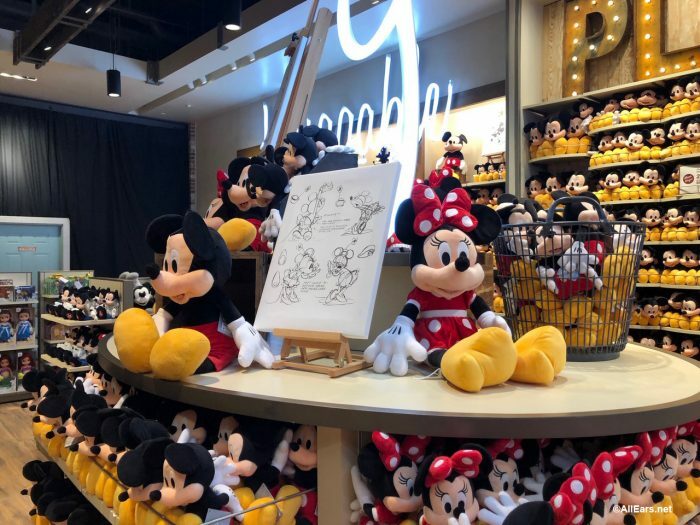 I’m sure that will delight and inspire all Disney fans. ? NOT! M’eh. But I’ll wait until I actually see the store to give my final opinion. Judging by these photos, I’m not a fan. This looks very cold and utilitarian. There’s little whimsy. This could be any store in any shopping district. 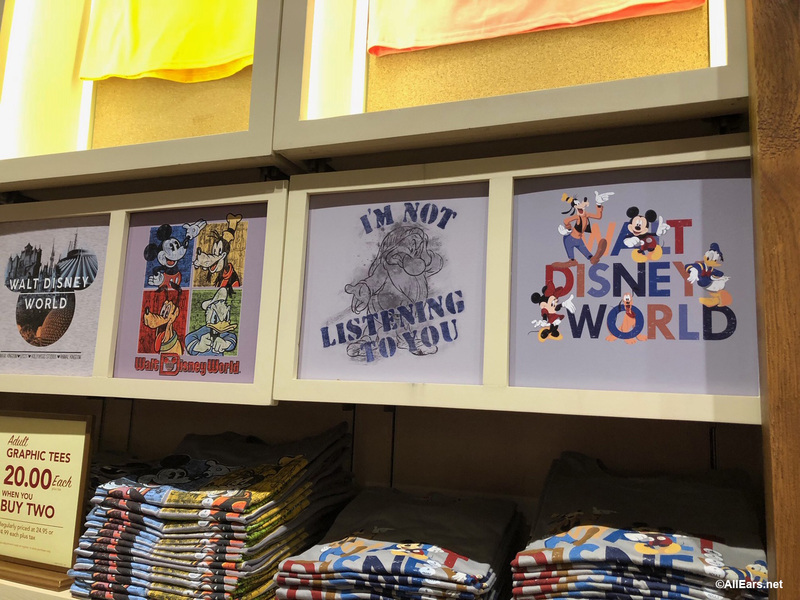 It’s as dull as the new way The Disney Stores currently look.